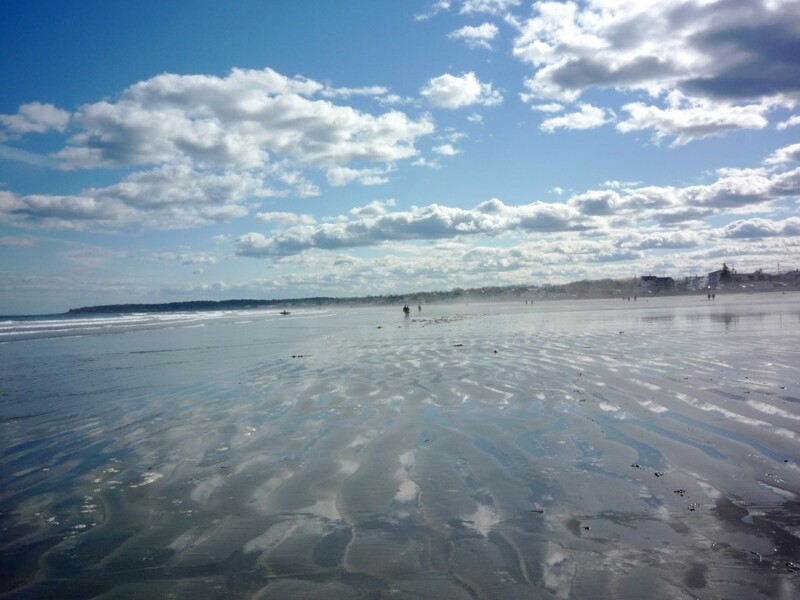 If you’re not much for beach crowds, we suggest waking up early and heading down to Long Sands Beach in York Beach, Maine, on Route 1A, for a peaceful yet refreshing ocean side walk. For just $1 per hour of metered parking, many walk the mile and a half stretch of beach with great waves, views of Nubble Lighthouse and a Down East salt water feeling in the air. The peace and solitude render a wonderful feeling and because of the expanse of beach, you feel like you have the beach to yourself. The sunrises can also be spectacular (see below photo; we recommend clicking to enlarge the photo to get a full appreciation of this scene). What a difference this morning walk is from the crowded summertime scene that arrives just a few hours later! Of course, to wake up early here you need to either live nearby or stay at a local hotel, inn, motel or bed and breakfast. 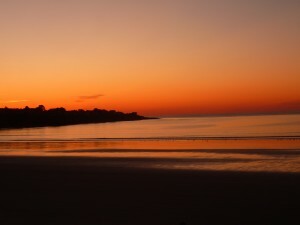 For the latter, we recommend staying at the Stones Throw, located directly across the street from Long Sands Beach. The room and restaurant views of the beach are fantastic and the parking is free for registered guests! 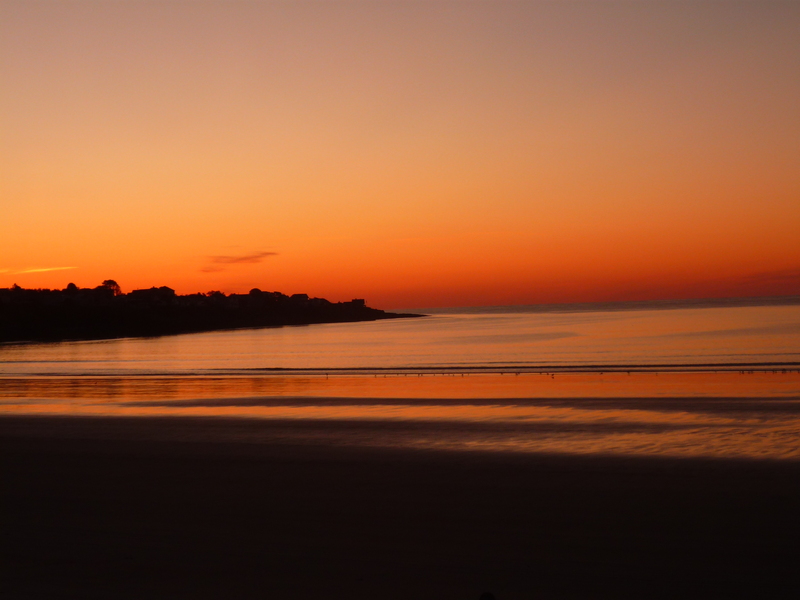 For more info on the York Beach area, we suggest reading our “York Beach Vacation Review” and “Ten Reasons to Visit York Beach, Maine” articles.